Philippe Coutinho has enjoyed a night with family and friends as he and his wife, Aine, await the arrival of their new baby daughter, Esmeralda. 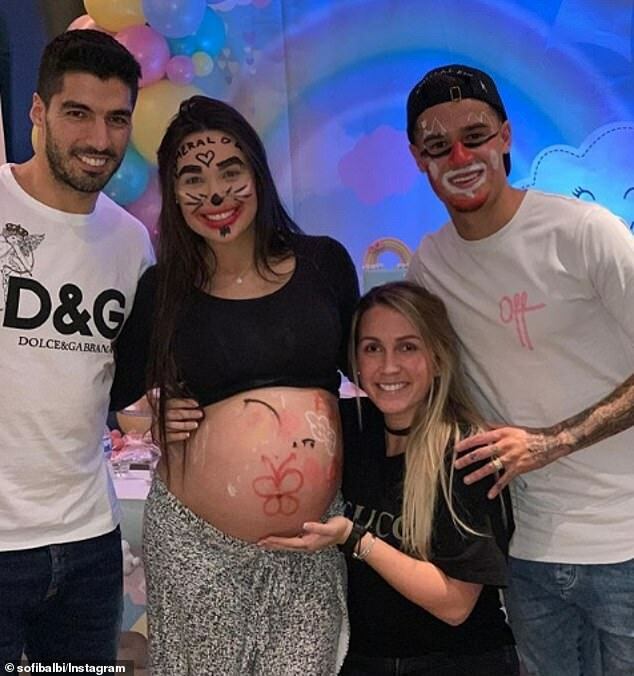 The Brazilian star had his face painted along with Aine at their baby shower as Luis Suarez and his wife, Sofia Balbi, attended the celebrations. It will be the couple’s second daughter following the birth of Maria, while Coutinho has a son, Philippe Jnr. With Coutinho’s third child due, the Barcelona star has celebrated goals by paying tribute to his pregnant wife. The 26-year-old has recently been out of action with a muscle injury and has missed the last two league games for the Catalan giants before returning to action earlier this week. The former Liverpool star played 70 minutes in the 2-1 win over PSV Eindhoven in the Philips Stadion on Wednesday evening. Coutinho is expected to line up alongside Suarez for their La Liga clash with Villarreal on Sunday afternoon.